A Preliminary Examination is a Right of the Defendant. An expert criminal defense attorney can use this hearing to turn the tables on the prosecution. A person who is charged with a felony (or high misdemeanor) has the right to have a preliminary examination at the district court level within 21 days of his arrest. The 21-day limitation is almost always waived with retained counsel to give him or her time to prepare the case and/or seek a district court resolution of the matter. With an expert’s perspective on preliminary examinations, the tables can be turned on the prosecution. At a preliminary exam (also known as a “probable cause” hearing), the prosecution has to show that a crime has probably occurred and it is more likely than not that the person charged is the person who likely committed the offense. Unlike the “beyond all reasonable doubt standard” at trial, the probable cause standard at this stage is very low. Most cases are bound over to the circuit court. 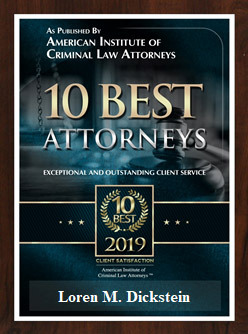 Courts generally hold that the evidence presented at the preliminary examination must be viewed “in the light most favorable to the prosecution.” Issues of credibility or conflicting evidence are usually resolved in favor of the prosecution for probable cause purposes. The district court judge assigned to the case will decide whether the prosecution has met their burden of proof at a preliminary examination. The prosecution presents their case first. The prosecution does not have to, and will likely not, present all of their evidence. The prosecution is entitled to present any evidence they chose so long as the probable cause standard is met. The defendant has the right to cross-examine prosecution witnesses and if the defense chooses, can present evidence and witnesses of their own. The defendant virtually never presents defense witnesses and evidence. A defendant testifying at a preliminary examination is almost never done. There are various reasons the defense does not present evidence at the preliminary examination. Even in the best circumstances, the judge will find that the defense witnesses or evidence creates a “question of fact” for the jury to decide. By presenting evidence, with little hope of it having an impact, the defendant unnecessarily reveals defense friendly evidence or defense strategy with nothing gained. There are some limited cases where defense evidence or witnesses are so compelling and overwhelming that presenting the evidence at preliminary examination may be appropriate. Generally, presenting defense evidence at a preliminary examination is akin to playing poker with your cards turned so everyone at the table can see them. After all testimony and evidence has been presented and both the prosecution and the defense rests, arguments are made regarding whether the case should be “bound over” to the circuit court and, if it is going to be bound over, what the appropriate charges should be. The prosecution will argue that they have met their burden of proof and will ask the judge to bind the case over to the circuit court on all of the charges contained within the complaint and will frequently ask for additional charges if the evidence presented would justify new charges. The defense usually argues that the prosecution has not their burden and will ask the judge to dismiss one or more of the charges or in the alternative reduce one or more of the charges to a misdemeanor. The prosecution gets the first and last argument because he or she has the burden of proof. There are cases where the judge will increase, decrease or even add additional charges on his own (sua sponte) if he feels the modifications are justified. What if the Defendant Waives the exam but the prosecution demand s one? The right to a preliminary exam belongs to both the criminal defendant and the prosecution. 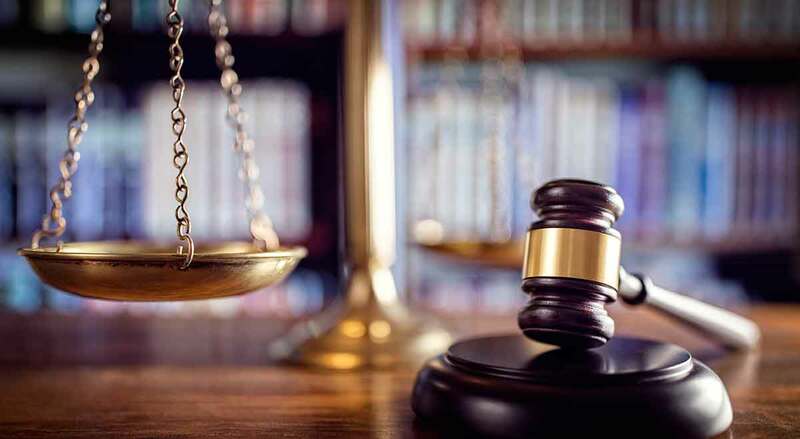 Unless both the prosecution and the defendant decide to waive the exam (voluntarily give up the right to a preliminary examination), the court will proceed with the preliminary examination. A preliminary examination can take minutes or days depending on the volume of evidence and the seriousness of the charges. Should the Defendant Waive or Hold the Preliminary Examination? This decision is exceedingly complex. There are innumerable reasons to hold or waive the preliminary examination. Every case is different and the decision should be made on a case-by-case basis. There is no right answer for every case. Holding or waiving a preliminary examination might be helpful, hurtful or not have any impact on the case. He or she intends on pleading guilty. 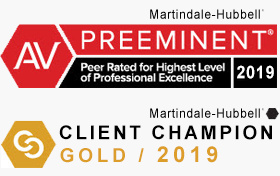 If the prosecution’s case is strong and the defendant intended to plead guilty or no contest, waiving the preliminary examination will save time, court resources and money. Under these circumstances, holding the preliminary examination can only cause problems because it will create a new record of the offense that can be examined by the judge and circuit court prosecutors, it can inflame a victim who will later be asked to make a “victim’s impact statement,” and it can cause an otherwise cooperative prosecutor to turn into an uncooperative nemesis because resources and time were needlessly wasted in the case. If the defendant believes that the witnesses against him are likely to not show up at trial or that they may refuse to testify at trial, holding a preliminary examination can have a disastrous impact on the defense. If the court rules that the prosecution witness is not available at trial and there was a preliminary examination, the judge will likely find that the preliminary examination transcript (the record of the witnesses testimony) is admissible at trial in lieu of the witnesses live testimony. In other words, a case which may be dismissed at trial will be able to go forward because the transcript can be used as evidence by the prosecution. If the testimony is likely to bring out facts that could lead to the defendant being charged with either additional crimes or a worse crime than the one he is currently charged with. The judge at the preliminary examination can add new charges or increase the severity of the charges. If the prosecutor who issued the complaint failed to include prospective felony or misdemeanor charges, the court acting on its own or at the request of the prosecutor can add additional charges. If the defendant intends on pleading guilty anyway, testimony taken at the preliminary examination can be used to increase the defendant’s sentencing guidelines. There are guidelines that are used by the sentencing judge to determine if the defendant should go to jail and, if so, how long the jail or prison sentence should be. The guidelines are determined based upon the defendant’s criminal history and the facts of the case. It may be that there are facts which would justify higher guidelines that are not contained in the police report and would only be brought to light because of the testimony admitted at the preliminary examination. If a plea bargain or sentence bargain is the strategy of the defense, holding a preliminary examination may sabotage a good deal. Prosecutors will occasionally agree to a favorable deal at sentencing in exchange for waiving a preliminary examination. Even if the prosecutor will not make a deal for a waiver, he or she will likely give some positive credit towards a resolution in circuit court. When requests are made for a sentence agreement in the circuit court, judges frequently ask for the prosecutor’s opinion. Whether the preliminary examination was held or waived, and what evidence was produced, will likely have an impact on how the prosecutor responds to the judge. If the prosecution’s case is weak, the preliminary examination can be used to expose weaknesses. Even if the preliminary examination does not result in a dismissal of the case, bringing light to the weaknesses in the prosecution’s evidence may make the prosecution more likely to engage in favorable plea negotiations. If highly mitigating evidence is produced, the testimony or evidence may make a circuit judge more inclined to impose a more lenient sentence. Of course, the risk in holding the examination is that the evidence or testimony may have the opposite effect and holding a preliminary examination for this purpose should be approached very cautiously. The preliminary exam will allow testimony to be placed on the record which can later be used at trial to impeach a witness. This should especially be used when the defense believes that a particular witness has credibility problems or is likely to change their testimony or lie at trial. An experienced trial lawyer will be able to use the preliminary examination as a tool to judge how credible a witness may later be at trial if one is contemplated. The preliminary examination may be used to determine if a pretrial motion is appropriate or to develop evidence if such a motion is planned. For example, if a confession is going to be introduced into evidence, the defense lawyer can use the preliminary examination to get a preview of an officer’s testimony prior to an evidentiary hearing. If the witnesses or victims are unlikely to appear at the preliminary exam, the court may dismiss or reduce one or more of the charges in the case. The prosecution will almost always be given one or more adjournments of the preliminary examination to locate and subpoena any uncooperative or difficult to locate witnesses. If a witness fails to appear at the preliminary examination, the prosecutor may ask for a warrant for the witness’s arrest (called a “Material Witness Warrant”). The case would then be dismissed without prejudice and then re-filed when the witness is located. A dismissal at the preliminary examination is always without prejudice, meaning temporary, and can be re-filed at any time the prosecution is ready to proceed. The decision to hold or waive a preliminary is complex and the list above is not exhaustive. An experienced criminal defense lawyer will know how to weigh the advantages and disadvantages of holding or waiving a preliminary examination and give you the best possible advice. Ultimately, the decision to hold or waive the exam must be decided by the defendant who is free to accept or disregard the advice of his attorney. If you are represented by an attorney whose advice you trust, you should rely on that advice. 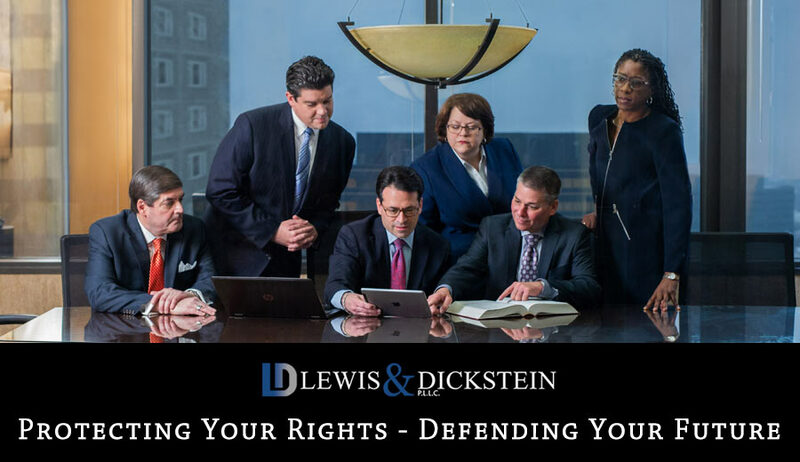 For a confidential, free consultation with the defense team at LEWIS & DICKSTEIN, P.L.L.C., please call us at (248) 263-6800 today or kindly complete a Request for Assistance Form and a seriously experienced criminal defense attorney will promptly contact you.